EXCELLENT THREE ROOMS + SERVICES WITH BOX AND EXCLUSIVE PARKING PLACE WITH LOW EXPENSES CONDOMINIAL !!!! In Buscate, in a residential area but close to all the services of the municipality (town hall, schools, post office, bars etc. 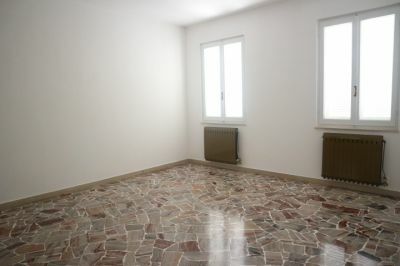 ), and only ten minutes from the Trenord railway station that connects Magnago to Milan in just 40 minutes, we offer a three-room apartment + services as follows: entrance, which is from the common stairs, living room, eat-in kitchen, double bedroom, single bedroom, hallway and two balconies. The apartment is proposed empty. The solution is completed by a single amble box and an exclusive parking space inside the building.